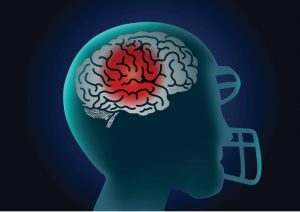 Concussion, a type of brain injury, can occur in any sport, but football, hockey, soccer, and basketball have the highest rates of incident. School rules to protect student athletes are key to avoiding these type of injuries. However, Colorado parents and students are unprotected. In August 2017, a controversial study conducted by the Korey Stringer Institute (KSI) ranked Colorado last among all states and the District of Columbia for state high school sports safety policies. These policies cover the four leading causes of death among high school athletes: sudden cardiac arrest, traumatic head injuries, exertional heat stroke, and exertional sickling. The Colorado High School Athletics Association (CHSAA) publicly rebuked the ranking and claims it did not participate when contacted by the institute. In Colorado, health care professionals are not required to be present for high school football practices or games. KSI used publicly available resources such as state high school associations and legislative websites. This explains how the data was collected despite CHSAA’s lack of participation. KSI’s study was recently published in the Orthopedic Journal of Sports Medicine. In 2004, a 15-year-old freshman from Grandview High School in Aurora died after collapsing on the football field during a game. An autopsy later revealed bleeding around the player’s brain from a serious brain injury. In 2005, a 17-year-old Harrison High School football player from Colorado Springs collapsed during a game and died on the field from a cardiac condition. In 2017, a 15-year-old lacrosse player from Smokey Hill High School collapsed and died during competition—the cause of her death is still unknown. Colorado has taken some steps to make sports safer for student athletes. In 2012, almost 10 years after the death of the Grandview football player, Jake Snakenberg, Colorado’s Senate Bill 40, also called the Jake Snakenberg Youth Sports Concussion Act, took effect. At the time, this legislation was one of the most comprehensive bills covering concussion management and player safety; but today, many states have advanced Colorado. Furthermore, what we know about brain injuries and football has advanced too. North Carolina (1), followed by Kentucky (2), and Massachusetts (3), have the strongest rules to protect student athletes. The lowest scoring states include Colorado (51), California (50), and Iowa (49). There are currently no school rules to protect student athletes related to exertional heat stroke. “Heads Up Football” training is optional. There is no requirement that healthcare professionals are present. Schools don’t have to develop an emergency preparedness plan, which includes access to onsite medical equipment. Supervision of athletic programming does not require safety certifications such as CPR and first aid. What Colorado’s bill is most effective at is ensuring that coaches, trainers, and volunteers receive mandatory concussion training. This training includes how to detect signs and symptoms. If a player may have a concussion, they must leave the field immediately. Players can’t return to play until a medical professional provides written clearance. Senate Bill 40 does not address heat stroke, sudden cardiac arrest, or exertional sickling. Student safety is, and should be, a priority among all Colorado schools. Neglected or mismanaged head injuries can be life-threatening. As with cyberbullying cases, student athletes may be reluctant to discuss symptoms or injury, especially if he or she is competing for scholarship or other incentive. While educating students is important, it’s the coaches, trainers, parents, and physicians who are ultimately reasonable. They are in the best position to for detect and manage injuries on and off the field. Neglected or mismanaged head injuries are especially dangerous, as signs and symptoms may not arise immediately. 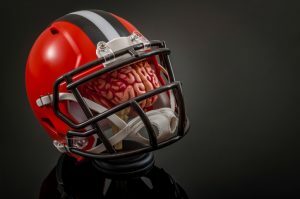 Repeat impacts, even those that don’t result in concussion or loss of consciousness, have been linked to degenerative brain disorders like Chronic Traumatic Encephalopathy (CTE) and Alzheimer’s, at nearly every level of play, including high school football. Thanks to Senate Bill 40, there is a framework, but that doesn’t mean protocols are properly followed all the time. Most sport-related injuries are not fatal, but as the evidence shows, some Colorado students have suffered the ultimate price. If you or your child suffered a sports injury whose effects may have been worsened by the lack of an appropriate response, please contact the Denver injury attorneys at The Frickey Law Firm to discuss your legal options. Like the Frickey Law Firm on Facebook or follow us on Twitter to stay informed about Colorado personal injury law!